Professor Bill Gray of the University of Chichester’s English Department has recently been busier than usual in his mission of spreading the word about the Victorian fantasy author George MacDonald. MacDonald, who was a friend of Lewis Carroll (and partly responsible for the appearance of Alice’s Adventures in Wonderland) lived for some years in Arundel, where he was minister of the church that is now the Ninevah House Antiques Centre. In June, Bill gave a well-received lecture on MacDonald in the Oxford Centre for Christianity and Culture’s series of ‘Public Lectures with distinguished speakers’. The theme of this term’s lectures was ‘Alternative Worlds’, and other speakers included Professors Laurie Maguire and Chris Rowland of Oxford University and Peter Hunt, Emeritus Professor at Cardiff. Bill’s lecture was well attended by members of the public as well as by Oxford academics, including several professors, who joined in a lively discussion after the lecture. A chapter on MacDonald (entitled ‘George MacDonald’s Marvellous Medicine’) is also at the heart of Bill’s book Fantasy, Myth and the Measure of Truth: Tales of Pullman, Lewis, Tolkien, MacDonald and Hoffmann (Palgrave Macmillan, 2008) which is selling well. Fantasy writers are notoriously read (and even studied) mostly by enthusiasts of a fannish bent. The “mere” readers consume fantasy voraciously, and often without making or wanting to make any distinction between the qualities of, say, Tolkien and those of his worst imitators – but even many of the serious readers are so immersed in the texts that the resulting scholarship bears little relation to what goes on in other wings of the literary academy. 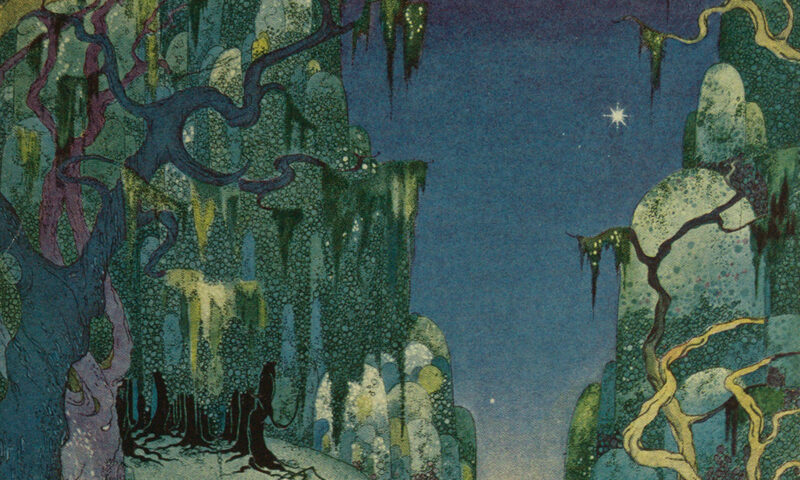 William Gray’s book is a truly critical work, in the best sense: an examination of fantasy literature that moves beyond literary history and taxonomy, without resorting to pure abstraction. In doing so, he places some of the best works of modern fantasy in a tradition, and a tradition other than that of the epic. George MacDonald’s novel-length romances, Phantastes and Lilith, are often cited as important influences on modern fantasy. But they are difficult books, dreamy and plotless tales concerning indistinct characters in environments lacking physical definition – how they relate to the more earthy fantasies of strange lands and societies with heroes, quests and magic is not apparent. Gray goes behind these to the writers of the German romantic tradition – Novalis, Hoffmann, the Grimms and others – who were themselves read by MacDonald. In doing so, he evokes Harold Bloom’s belief that philosophical source-hunting is the only worthwhile job for the literary critic, although this may be mainly for the sake of finding an overall theme for Gray’s various author studies. One need not be persuaded by (as Gray disarmingly admits) his “(suspiciously grand) narrative of high Romantic Fantasy” to find this backstory illuminating.